China is one of the oldest cultures in the world and they have been practicing a form of sport in one way or another for a long time. They have practiced archery and swordplay as well as a form of soccer dating back to the earliest dynasties. Today, Chinese athletes are well-known for their martial arts but this culture which has spent a long time enclosing themselves from the rest of the world have started embracing western sports from basketball all the way to snooker. Physical fitness is a great part of the Chinese culture which is why there are a lot of fitness clubs and commercial gyms. They have a lot of cyclists in the country having 470 million bicycles in the 2012. But for the youth, basketball is quite big mostly because of NBA players who are a native Chinese or have Chinese blood. 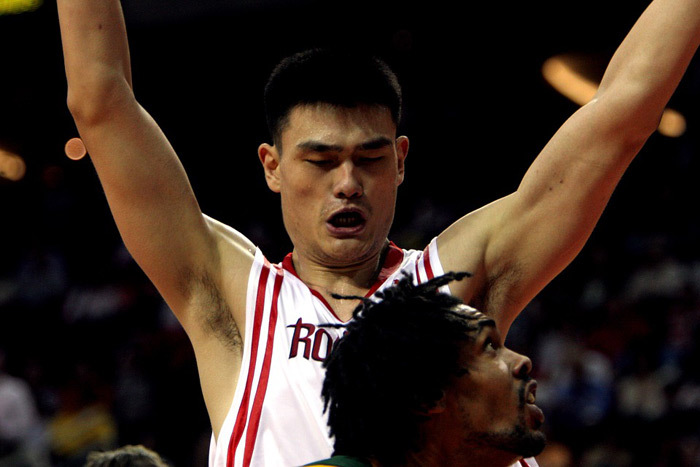 Players like Yoa Ming and Jeremy Lin are quite revered in China. They have also attended most of the Olympics Games, both the Summer and Winter Games, since 1932. They have also hosted the 2008 Summer Olympics in Beijing where they took a total of 51 gold medals, the most that any participating state took home that year. They took a total of 100 medals that year, the highest medal count they ever had in any Olympic outing since they first joined in 1932. China will also host the 2022 Winter Olympics, in Beijing. Below are details of sports, sporting events and sports people related to China. See also about sport in Hong Kong, Macau, Chinese Taipei. Jianzi — players aim to keep an shuttlecock type object (called a Jianzi) in the air by striking it predominantly with legs. Cuju — an ancient ball game which involves kicking a ball through an opening into a net. Qianball — a racket and ball sport developed in China which can be best described as a mix of aspects from tennis and squash. Zui Quan (or Drunkard's Boxing) — a concept in traditional Chinese martial arts. Wushu — a full-contact sport derived from traditional Chinese martial arts. Sanda / Sanshou — a form of kickboxing from China, which combines full-contact kickboxing, with wrestling, takedowns, throws, sweeps, kick catches, and in some competitions, even elbow and knee strikes. Beikou Tarkbei (also called Daur Hockey) — a team sport unique to the Daur ethnic group in Inner Mongolia, that has a lot of similarities to field hockey. China led the gold medal count at the 2008 Beijing Olympic Games. Sprinter Liu Changchun was the first athlete to represent China in competition at an Olympic Games - he was the sole competitor from the Republic of China at the 1932 Games in Los Angeles. At the 1992 Olympic Games, 13-year-old Fu Mingxia of China won the platform diving event, making her the second-youngest person to win an individual gold medal. Besides UK, China is the only other country that has four national associations in FIFA, including Hong Kong, Macao, Chinese Taipei. There is evidence that an early form of soccer was played in China - military forces around 2nd-3rd century BC played a game called "Tsu Chu", that involved kicking a leather ball stuffed with fur into a small hole, and like soccer no hands were permitted during the play of the game. 1993 East Asian Games host, held in Shanghi. 2004 AFC Asian Cup (soccer). 2013 East Asian Games host, held in Tianjin. All China Games (the National Games of the People's Republic of China.) - held every 4 years. China participates in the East Asian Games. See also about sport in Hong Kong, Macau, Chinese Taipei.